For some reason, when it comes to jeans, jean jackets, etc I just can’t let them go no matter how long it’s been since I last wore them. Case and point…I currently have a pile of denim sitting in the bottom drawer of my dresser that I haven’t worn in years. YEARS. So in an effort to revamp some of my worn wares into something new, I went searching for ways to upgrade the denim clothing I already have into something new and now I’m feeling pretty good about my hoarding ways. Haha. 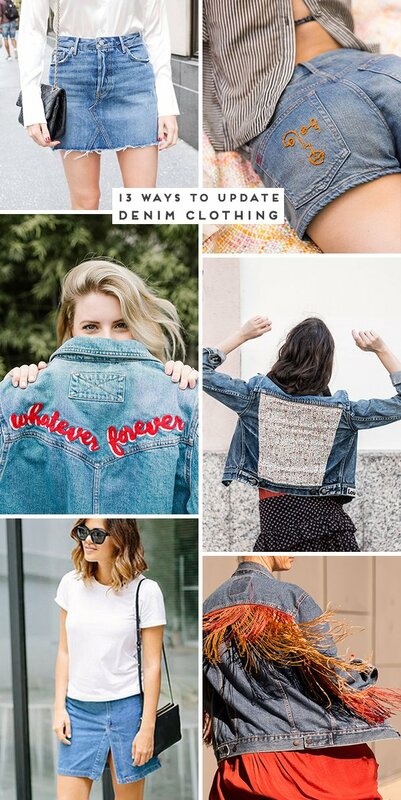 Upgrade those clothes that are sitting in the back of your closet with this list of 13 ways to spruce up the denim you already have. 1. 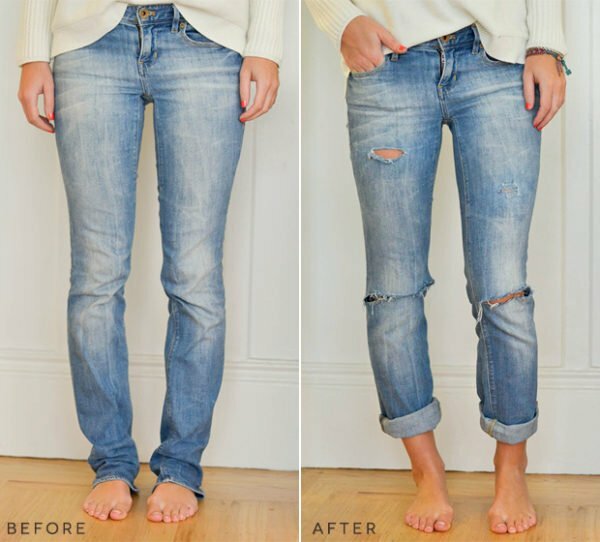 Let’s kick things off with a super easy DIY drop hem jeans tutorial. The best part? 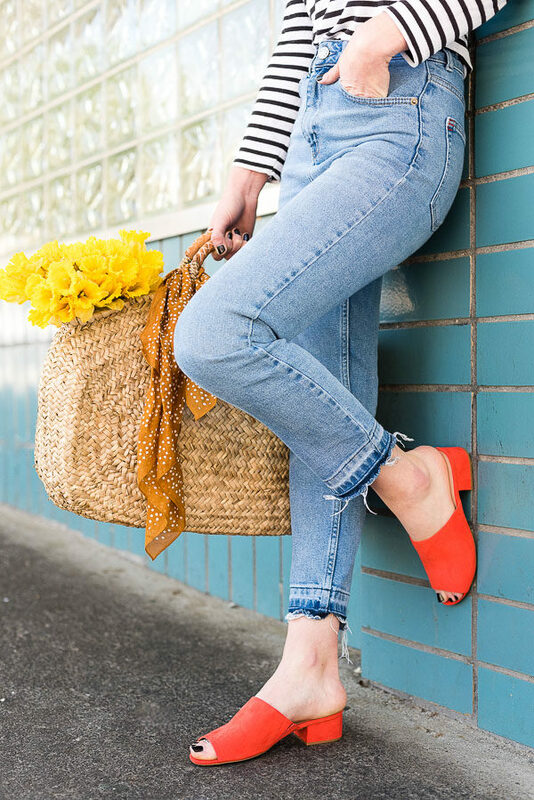 You can use a pair of jeans you already have and save yourself a few (hundred) bucks. 2. Why yes, you can turn an old pair of jeans into the perfect denim skirt. Trash To Couture has the full tutorial so you can make your own. 3. 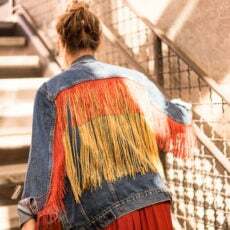 Another fun option for your denim jackets: a colorful fringe jean jacket DIY. 4. 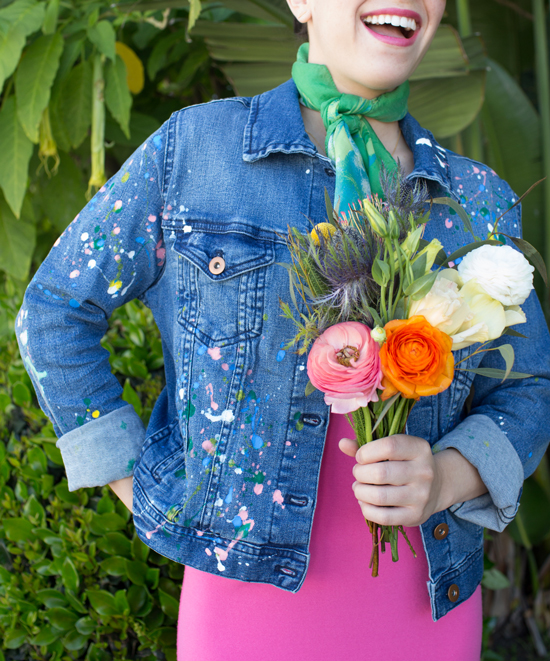 I’m a big fan of splatter paint makeovers, and this DIY splatter paint denim jacket from Oh Joy! is a fun project to add to the list. 5. 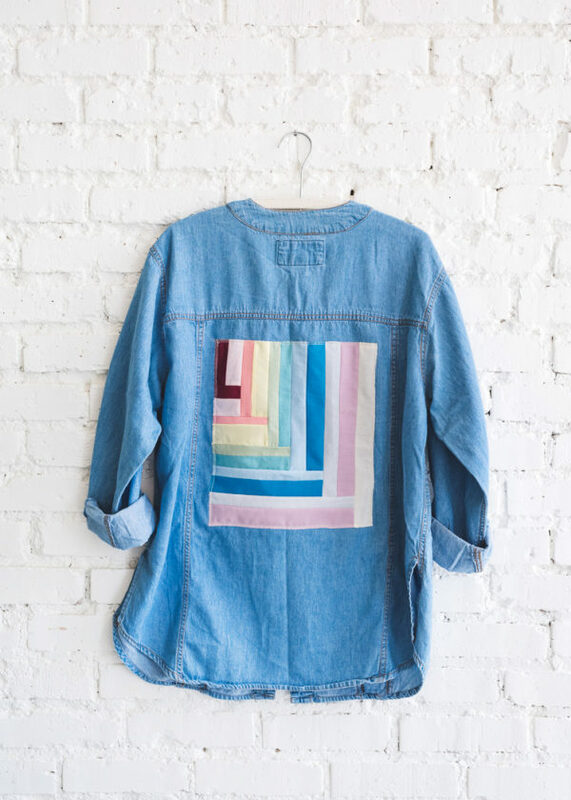 This DIY denim jacket quilted applique project from The House That Lars Built could be exactly what your summer wardrobe needs. 6. 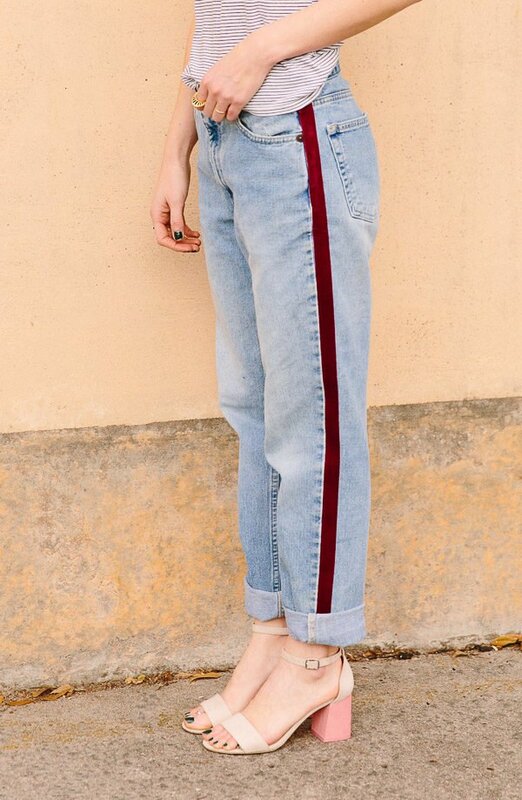 Mom jeans are still in, and this no-sew DIY side-stripe pant will only make your mom jeans that much cooler. 7. Make the perfect pair of shorts with A Pair and A Spare’s tutorial for denim cut offs four ways. 8. Try this denim skirt refresh two ways from Pop Sugar. 9. No need to keep searching for the perfect pair of boyfriend jeans. 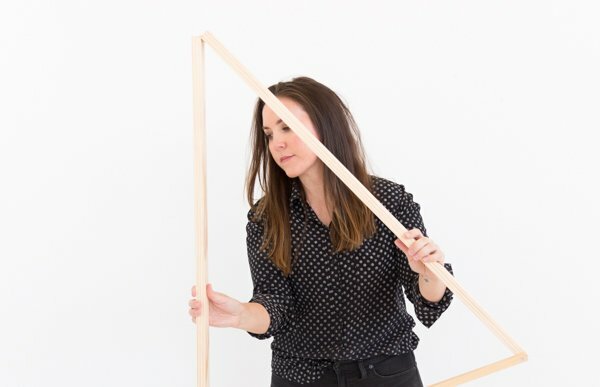 Advice from a Twenty-Something has an easy to follow tutorial to help you create your own. 10. And I love this denim embroidery project from Honestly WTF. Simple but sure does make a statement. 11. 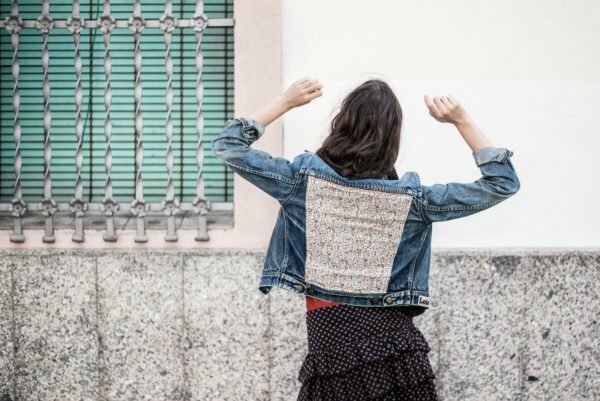 Here’s another fun upcycled jacket project from Emerja Design, only this time with fabric. 12. Technically, this tutorial is for DIY embroidered jean shorts, BUT it would look perfect on the back of a denim jacket, if you don’t have any denim shorts or pants to spare. 13. 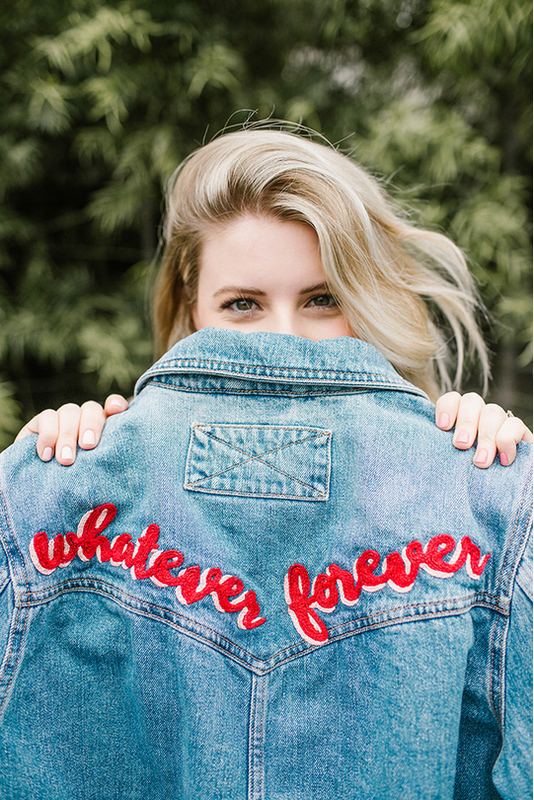 Learn how to hand embroider messages on your denim with this step-by-step tutorial from Lauren Conrad. Got any denim you’ve been wanting to upgrade? Think you’ll try any of these projects this summer? 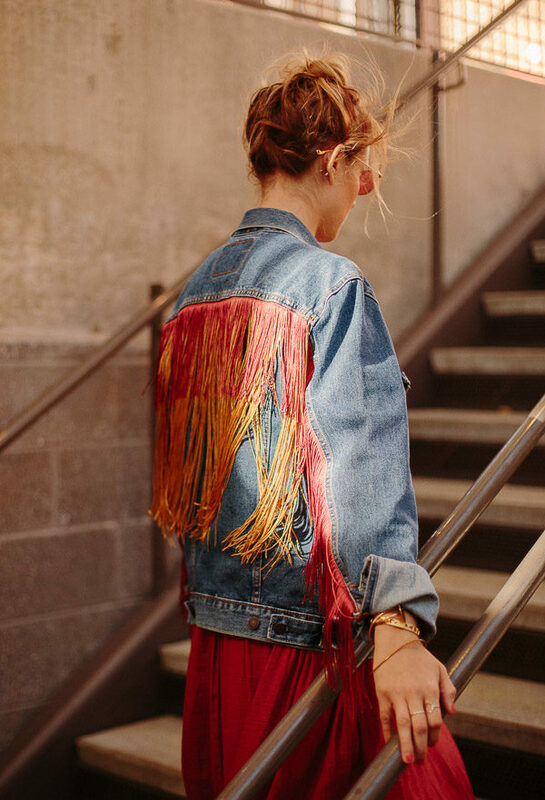 Definitely in love with that fringe jacket and all the embroidery! 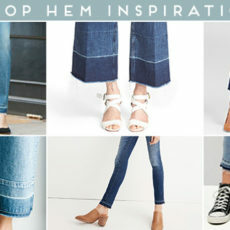 I am a huge fan of denim- I have been toying with the latest additions lately, but jeans are still my BIG favorite. I am not sure how I could get dressed every day without a pair of jeans. I admit I fall in and out of love with each of my pairs of jeans constantly – I am not going to fess up just yet as to how many pairs there are.